Most of the time, my idea of a perfect day is about sea, sun and sand. But, fancy an amazing day surrounded with animals and flowers? Why not? I had a fabulous day last Saturday- thanks to the invitation of Zoomanity group and TAG Media- at Paradizoo and Residence Inn. 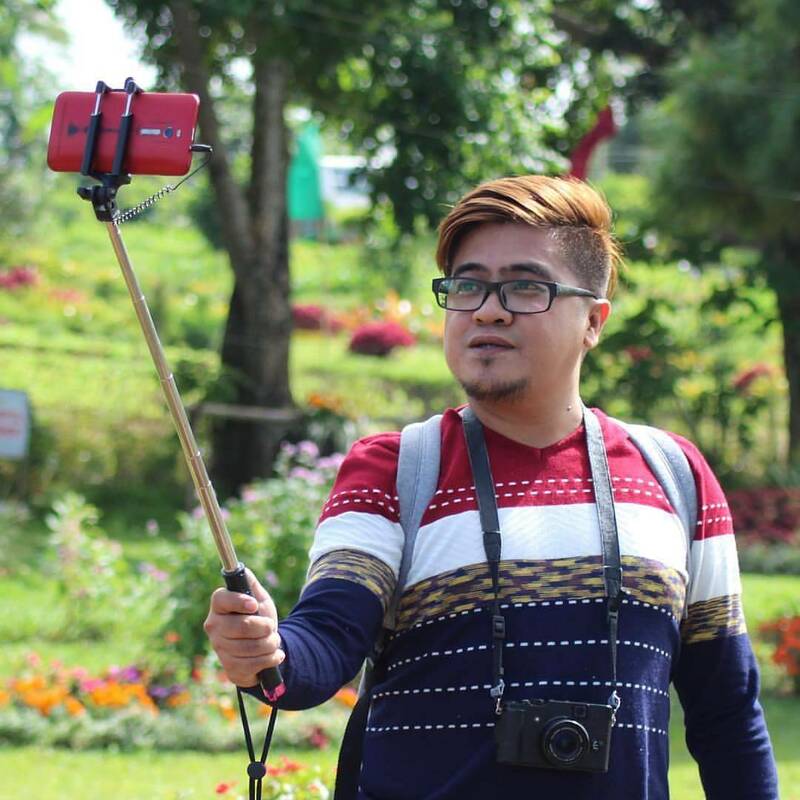 I have been to Tagaytay several times already but have not been to Paradizoo and Residence Inn. I thought it wasn't my cup of tea- farm animals and flowers and trees- what can be so extra ordinary about them? Don't get me wrong, I'm a nature lover but somehow I feel being at these places will be more enjoyable for the kids. My perspective changed when I finally had the chance to visit these sanctuaries. Believe me, I had a super amazing day! Located in Mendez, Cavite, Paradizoo is a 12- hectare theme park that offers a combination of Paradise and Zoo that is uniquely relaxing and entertaining. It is a perfect destination for pleasure, learning and healthy living. The area boasts of quite a number of animals and it was relaxing to hear all the animals sounds and gaze at their antics. At Farm Frenzy, guests can cuddle animals such as rabbits, hamsters and love-birds. Dorper sheep, Boer, Kalahari and Saanen dairy goats, Rusa and turkeys from Australia are also available for sale. Also, there's a diversity of flora that are like carpets of colors. The burst of vividness and vitality from the many flowers provided tranquility. I'm in love! Power of Three ( floral, vegetable and agri-livestock festival) once again unfolds at Paradizoo. This event aims to promote inclusive growth in the field of agriculture. If Nitrogen is free in the air, why are we buying it? This was the topic last Saturday, facilitated by Mr. Patrick Pineda. Growing up in the city, I have no idea about agriculture life. Sir Patrick opened my mind about the importance of farming. He emphasized the significance of Madre de Cacao, a nitrogen fixing and fertilizer tree. He said planting Madre de Cacao and/ or other nitrogen fixing tree improves soil quality thus yielding increase in crops. It is easy to propagate and inexpensive. For three months, Paradizoo offers FREE Agricultural Education to all. Free seminar on flower, vegetable and livestock care will be given by different well-known educators and speakers of Agricultural sector, including Sen. Cynthia Villar and Mr. Vergel Formaran of Calata Group Corp. Click HERE for the schedule of events. After, our Paradizoo tour, we went to Residence Inn. The place is also famous for its mini zoo and and from here is a nice location overlooking Taal Lake. I also tried their zip line..
..and the cable car! To provide fuel for our body, we ate at the "Gazebo",also located inside Residence. Bulalo and Tawilis are their must-try! And some of you may already know how I am fond of snakes. I took the opportunity to take a photo carrying one. The biggest I've held to date! It was indeed a perfect Saturday. After a stressful week at work, being at Paradizoo and Residence Inn was the perfect recreation and mental repose. 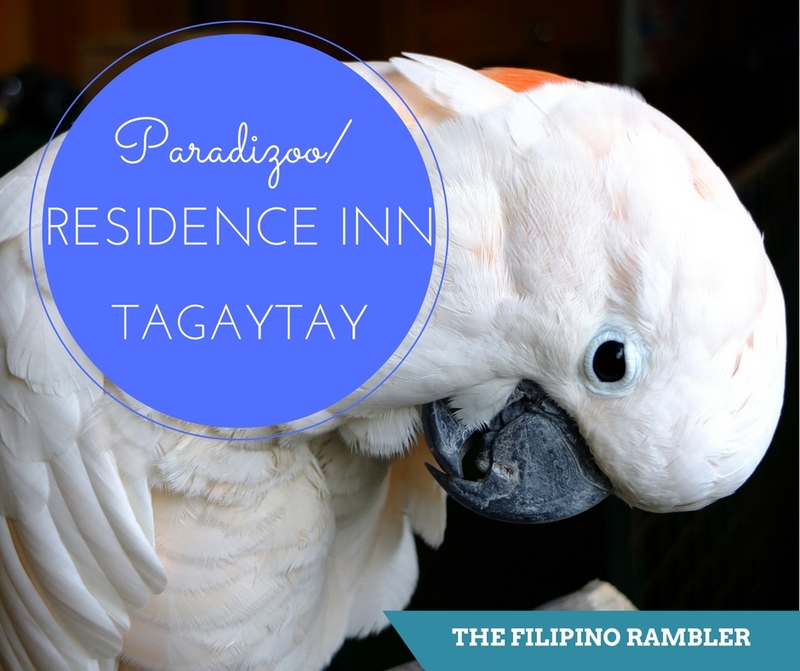 So when you're in Tagaytay, make sure you drop by Paradizoo and Residence Inn! To experience this eco-farm journey, contact 847-0413 or visit www.zoomanity.com.ph. You can also book tickets HERE. 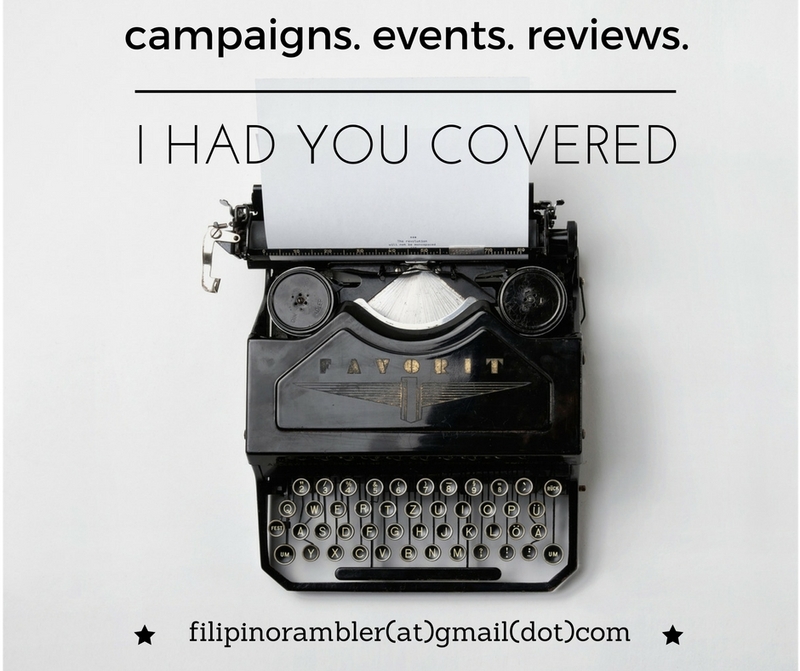 Planning to stay in Tagaytay? Click the banner for discounted room rates from TravelBook!